We love holidays in my family, and Halloween is one of our favorites! 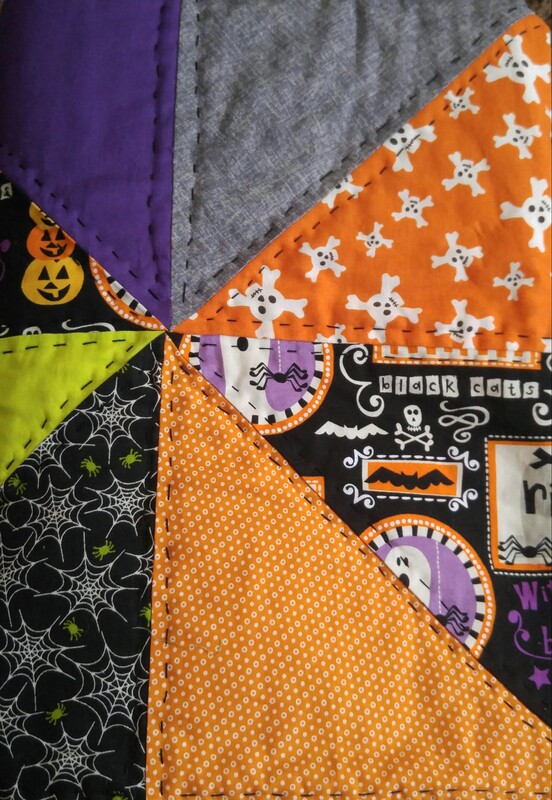 I have been hoarding Halloween fabric for years, and decided I wanted to use some of them this year to make something for my mom. She has downsized her Halloween collection recently, so I wanted something useful and different from what she already has. I made the advent calendar for her last year (that I finished the end of September) and it was a huge hit with the whole family, including my 18 year old brother. Because I had random fabric, I needed a scrappy pattern. I settled on a traditional Broken Dishes Half Square Triangles pattern, as explained by Any Smart of Diary of a Quilter. I also got some help from a local quilter guru, Flora Gillman. Most of my fabric is from yard sales or Joann’s. 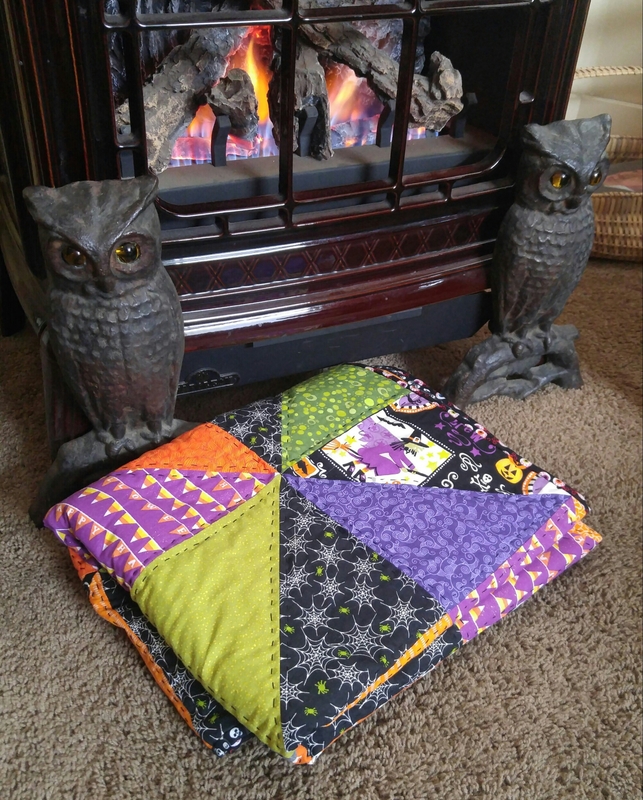 I had tons of small yardage of Halloween prints, and filled in the plainer colored fabrics with fat quarters. I had to piece the back as well because I bought the whole remaining yardage of this awesome owl fabric, and it was still too small. But, I love the back almost as much as the front. 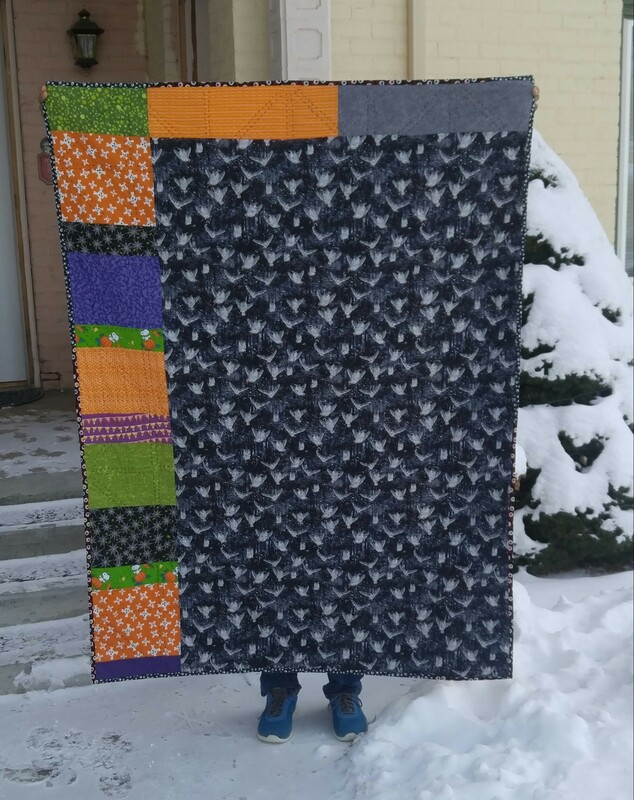 I quilted the whole thing by hand using big stitch, or country quilting. It is a running stitch that I did along all of the edges of each triangle. 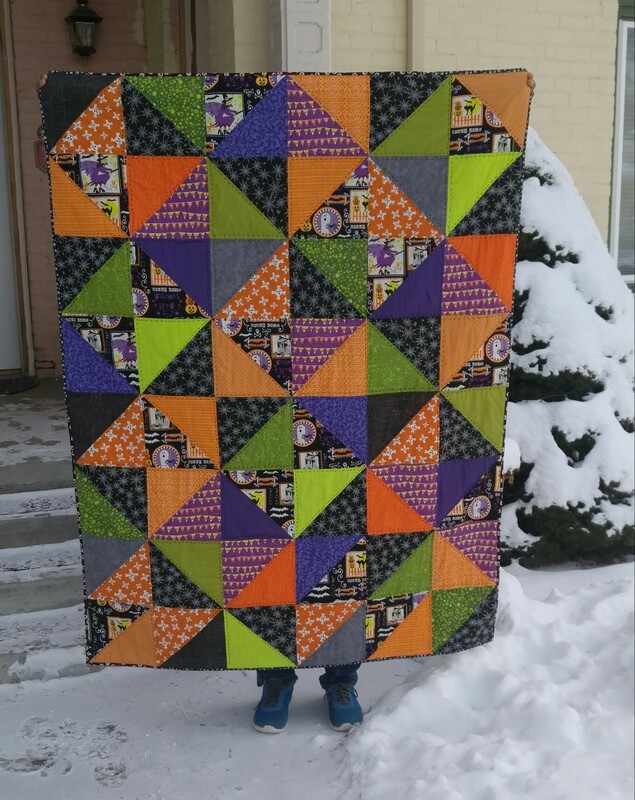 This is my first real quilt, and I am so proud of how It turned out. I might even enter it into a quilt show next summer. Enjoy!